First floor apartment in elegant Edwardian mansion block, on Sandwich Street, 2 minutes from Kings Cross in the heart of historic Bloombury. 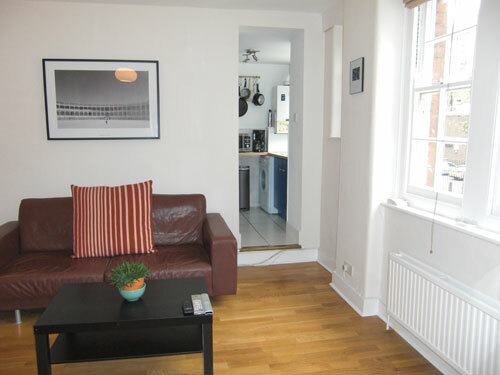 The flat has a bright and modern interior, and comprises a reception room, kitchen, double bedroom with walk in wardrobe, and bathroom and free wireless internet. 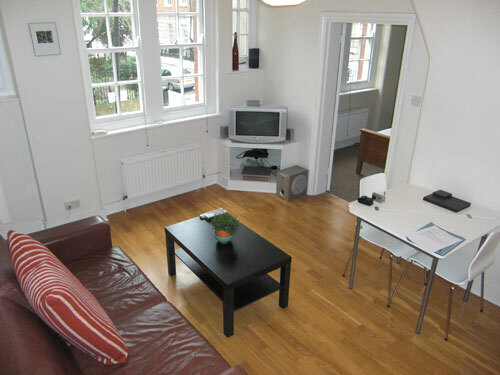 The bright reception has TV; DVD player; couch; coffee table; and dining table for two. Window looks out west onto Sandwich Street. 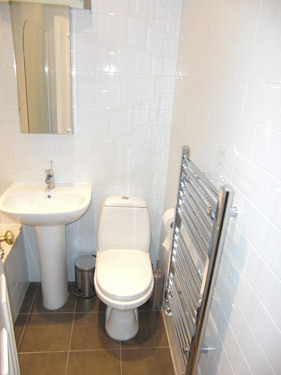 Bathroom has a bath and hand held shower, wc and handbasin. 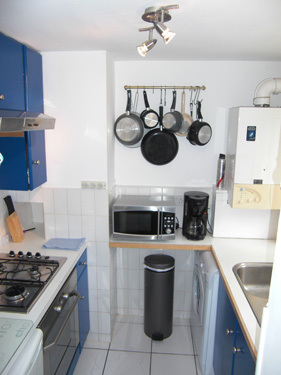 The kitchen looks out onto street and comes equipped with electric oven with four ringed hob, fridge with small freezer, microwave and washing machine. In addition, the mansion block has a beautiful internal courtyard and a roof terrace looking out across London. 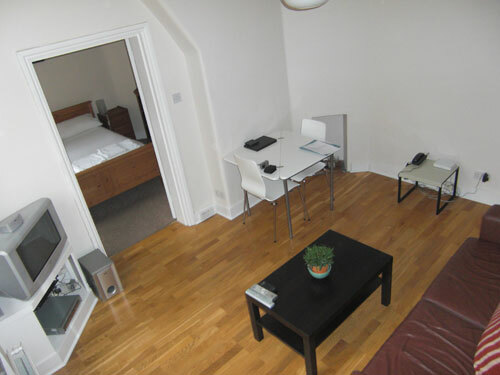 The flat comes with free wireless broadband and a telephone with free local calls. 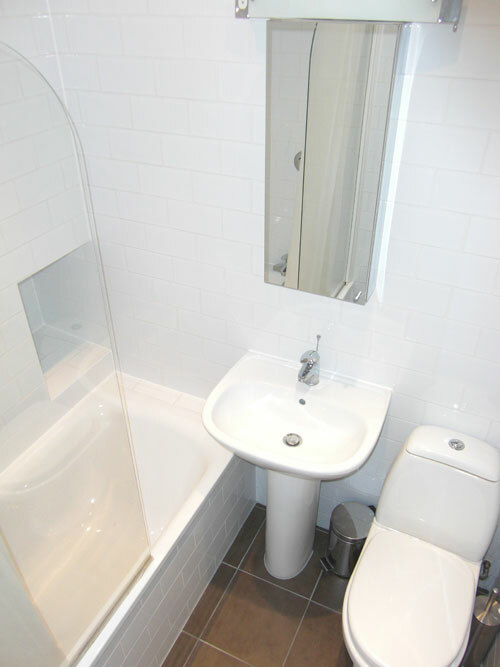 Sandwich Streetis ideally located just off Judd Street which offers many local amenities and shops. Euston Road and Southampton Row provide the property with a greater range of shops, bars, theatres and restaurants. 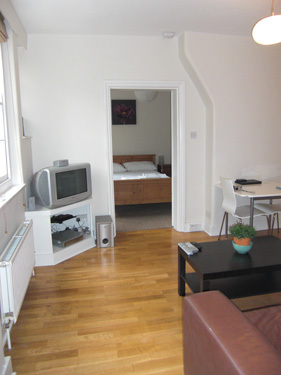 Russell Square, Kings Cross and Euston are within 5 minutes walk. The British Library is 10 minutes walk away, Oxford Street about 25 minutes walk or an easy bus ride. name: Peter Staceycountry: California, US/UKMy wife and I had a fantastic week in this apartment, which was absolutely ideal for our needs: a two-minute walk to the British Library and the University of London libraries, and amazingly well located for buses and tubes everywhere, even though you can easily get around by foot from here. 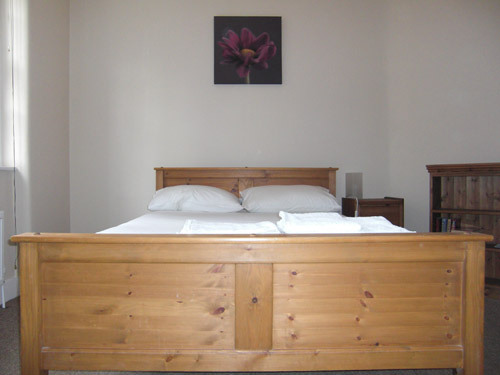 The apartment is warm, attractive, comfortable, fullyfunctioning and quiet; the neighbourhood is great for groceries, cinema, pubs and restaurants; and the handling of our booking extremely smooth and efficient from beginning to end. We genuinely can't wait to come back again. Many thanks. Name: Phil NeryCity/ State:Anaheim, CA (USA)Sorry it took awhile, but I wanted to give you a review of the apartment on Sandwich St and your services.We had a great stay in the Sandwich St apartment in Bloomsbury. It was very clean and was bigger than expected based on the photos online. 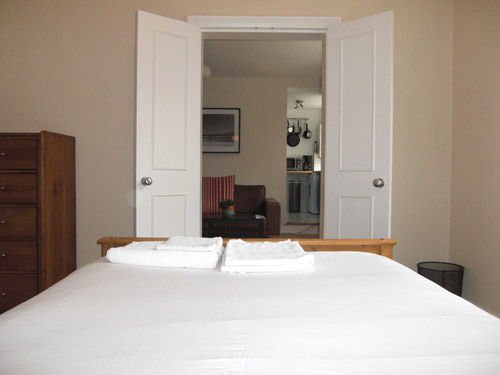 It came fully equipped with everything needed for a comfortable "home away from home." 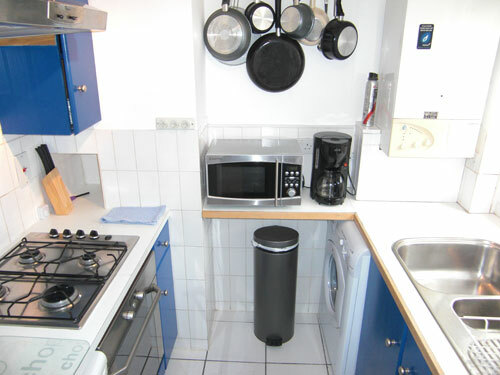 The kitchen has a small refrigerator, but was okay for a one-week stay. We couldn't figure out how to use the UK oven, but laughed at our own ineptness. The washer in the kitchen was useful as well. 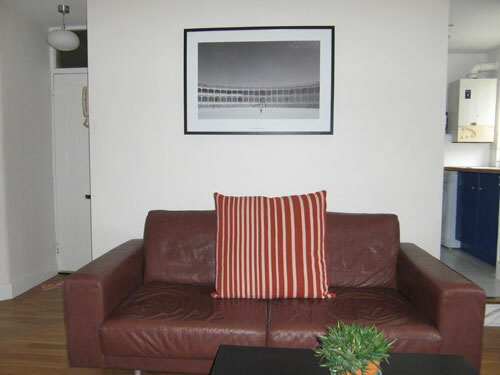 The apartment is centrally located with quick access to the Tube and a ton of bus lines from Kings Cross/St Pancras. It was also very close to the Tube's Russell Square stop which goes straight to London Heathrow Airport. The best part, however, was the peace and quiet of tiny Sandwich St. The hustle and bustle of London can be overwhelming so it's so nice to come "home" to Sandwich St where there is basically no one walking in the street.Apartment Services was also great. Ramiro was quick to respond and also had an alternate plan for picking up our keys after office hours, which was a huge help and very, very convenient. Everything was very efficient and... best of all... simple. We will definitely contact Apartment Services next time we're going to London. Thank you Ramiro, for helping us have a great first trip to London. Name: Bill WarrenPasadena, California USAWe very much enjoyed our stay with you at Sinclair House and we certainly expect to use your services again when next in your city. Gloria Moore/USAThank you very much.We had a lovely time in London and liked the flat very much.We would certainly use your services again. Name: Anne and David SkinnerCountry/City: Australia NSWThis apartment is in a pleasant area 7 is well connected for transport. 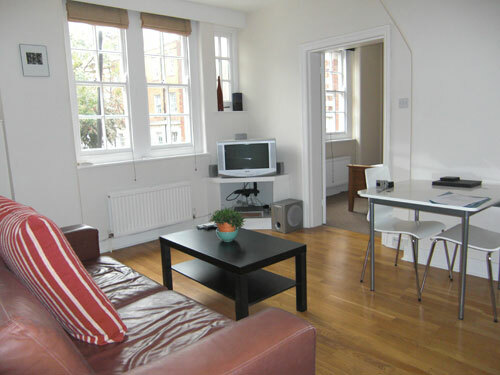 All domestic shopping needs close by in Marchmont St.Apartment well appointed.Great stay.